Who loves to color?? 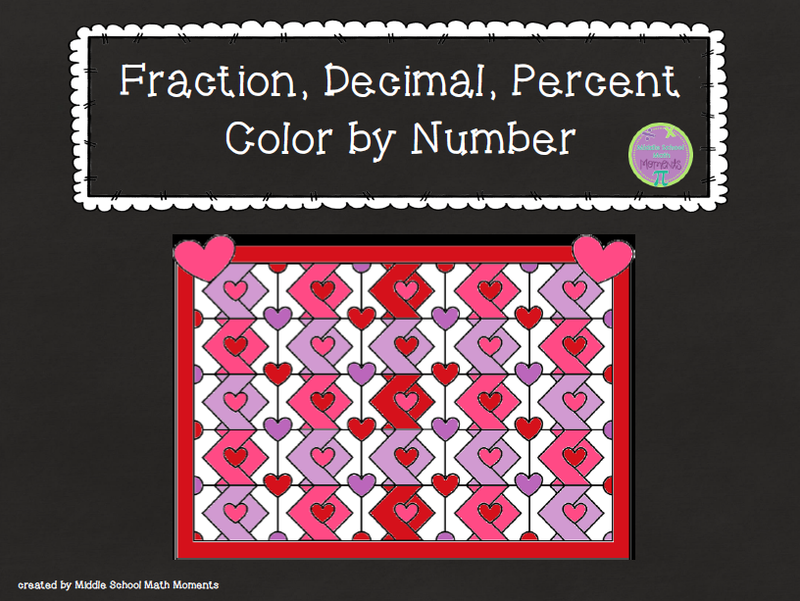 In this Valentine-themed color by number, students convert between fractions, decimals, and percents (there are 20 questions). They then find the solution number on the coloring page and color it with the color indicated in the box for that problem.